How are your holidays so far? I hope you're reading this in your pj's, relaxed and all cozy and warm. Was Santa good to you? If the man in the red suit didn't bring you the sewing machine that was on your wish list, then you'll want to read on! If you've been following my blog, you'll know that someway, somehow, during the last six months while we've been renovating our basement, we lost our sewing machine. Crazy, I know. And given that I recently took up sewing, making costumes and pillow cases and other fun stuff, I was really disappointed with the loss. Then Brother came to the rescue. They suggested that their NS-40 computerized sewing machine could be just what I needed. 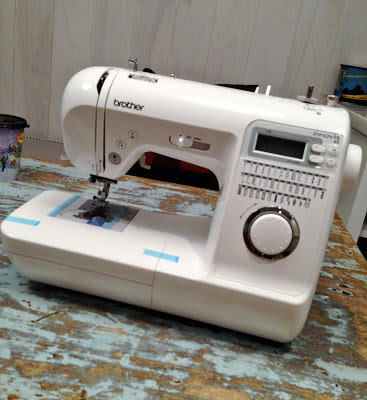 As a beginner sewer, I was looking for a machine that was easy to use but had the potential to do more down the road as I improved my sewing skills. I wanted something with a button hole feature (the old manual machine really frustrated me in that department) and had a variety of stitch patterns. I hadn't considered a computerized machine, but now that I've tried one, let me tell you, it makes things so much more easier, faster, and efficient. The LED light. Its sharp, bright, and precise. The variety of stitches. The NS-40 has 40 styles built-in, including 5 different types of one-step buttonholes. Picking a stitch is as easy as turning the dial. Not only that, the machine also tells you which presser foot (all provided) you need to use for each type of stitch. Easy peasy. Speaking of presser feet, all the attachments come in this handy pouch hidden in the machine. In fact, everything you need to get sewing is there and ready to go. 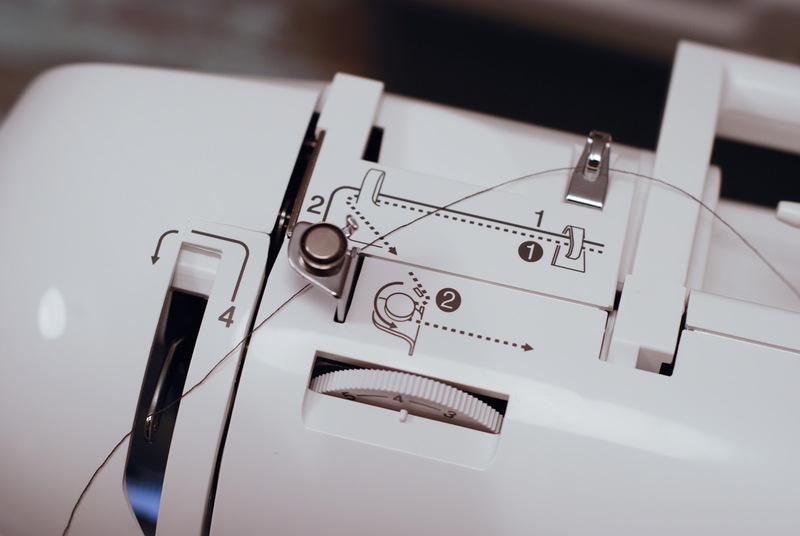 There are super simple features like the FAST bobbin winder and the automatic needle threader (yes, no more straining your eyes! ), even push button start and stop, which are so easy to use. The printed guide right on the machine showing where to put the thread for winding a bobbin and for threading the machine. With the old machine, I always had to pull out the manual to see the step by step on threading the machine! Having the 1-2-3 right in front of me is so convenient. and a fancy stitch for an envelope-back pillow. So much fun! I can't wait to tackle more sewing projects. And guess what? 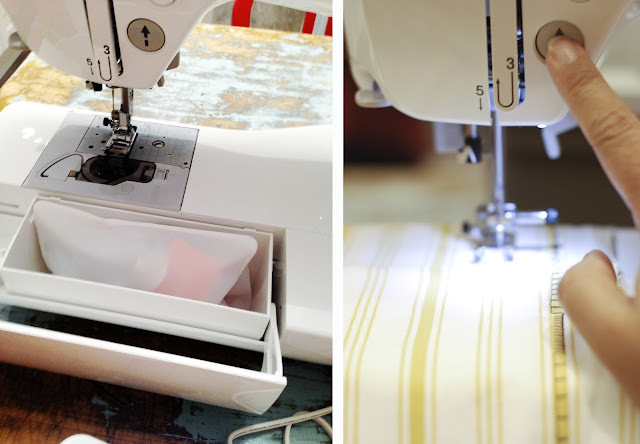 One of you lucky readers will win a sewing machine and get to tackle some projects too! Woohoooooo! Awesome, right? This is a special dealer model that cannot be found in stores or online. This is my biggest giveaway ever on this blog and a wonderful way to end the year. Thank you to Brother for sponsoring this giveaway!! Good luck. I just found this blog, looking forward to the updates as I am adding it to my RSS reader to stay on top. I would really like to win this price and learn how to saw. I am thinking a computerized sawing machine will make it easier for me to accomplished one of my 2013 goals. I will be picking up a ton of fabric from a friend so it would be great to win this contest! How fabulous! I have an old antique sewing machine and would so love to win this!! My first project with the new fabulous one? I'd love to try some curtain panels for my bedroom. 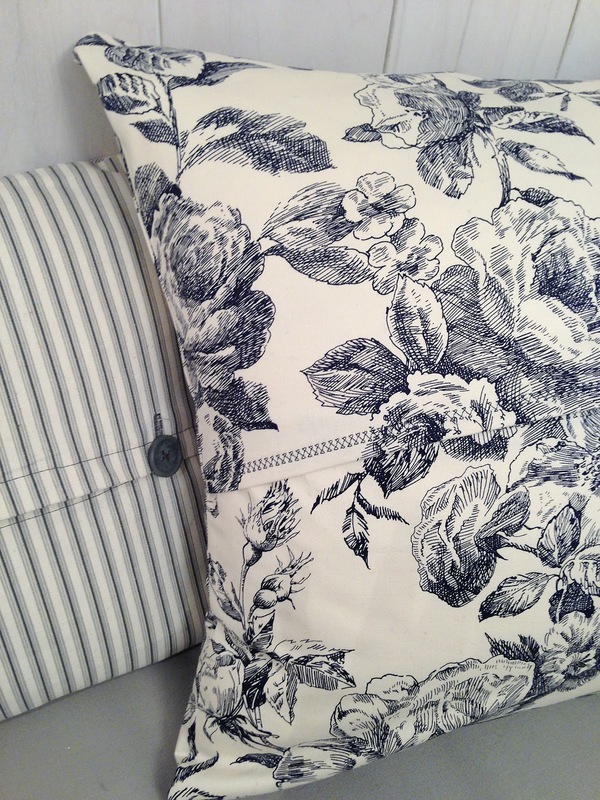 I would love to sew a new duvet cover for our room in a fabric I found that I adore! I would finally put new covers on the throw pillows sitting in my storage closet! I'd start on a pair of quilts for my twin's new bunkbeds, and work my way around our new living space from there... the list is long! Thanks so much for the chance! Wow! I'd totally make new cushions for my outdoor/porch chairs. The ones I have are splitting at the seams and looking pretty ratty. Thanks so much for this giveaway! My wife would try making cloth diapers if I won her this sewing machine. I would tackle dining room drapes! I'd love to sew some aprons and pillow covers! I would attempt some curtains simple enough I guess. I would reupholster 2 love seats! Not sure if the comment I added yesterday actually posted (it was done via my mobile) so I'm adding it here... thanks for the chance to win a machine, I'd use it to teach my dil how to sew! I would make some new pillows, curtains, and little dresses for my two little girls. I have been clunking away on my little outdated old singer for years...it's time for an upgrade! I would tackle my baby girls long over-due room. I have some curtains that are in desperate need of hemming.......yes please! Great prize! Nice to make the upgrade and get some fancy-pants stitching. If I win this sewing machine, I most definitely will be a sewing a lovely floor pillow for my daughters reading nook. I would make some pillows - an easy project for a beginner! Mine is broken, I could really use a replacement! I am taking a sewing course next month. Pillows galore for everyone! Wow ... great giveaway. I quilt and this would be a fabulous machine to have. and then I would play it forward and give my current machine to someone who is an entry level sewer. I would use this to make a new quilt for my bedroom! This is an awesome giveaway! I would love to sew pillows, curtains and do craft projects with this sewing machine. Thanks.. I'd tackle the pile of pillow covers I've been meaning to do to update the couch for the winter! This machine looks like a dream! Oh, awesome! We always have to borrow my mom's old machine; most recently new tool rolls for my woodworking hand tools yesterday. I would start with my girls room and finally sew their bedskirts! My little sewing machine died a while back and I have really missed it! This would be such a blessing if I could win this fantastic little machine. Thank you so much for the opportunity to win this! I would tackle making pillow covers for our kitchen banquette, that have been sitting bare for the last 2 years! lol! I would love to win this machine, my old cheapy sewing machine just broke! Oh man, I've been in my house for 3 years and I still haven't made any curtains! I'm dying to win this machine. I have a 100 year old Singer, but it's practically not usable. With this, I would tackle making a new duvet cover! Learn to sew is on my life list. Pillows would be my first project. I'd tackle teaching my daughter how to sew! My wife would love to have this gem! I would make a quilt for my girls. 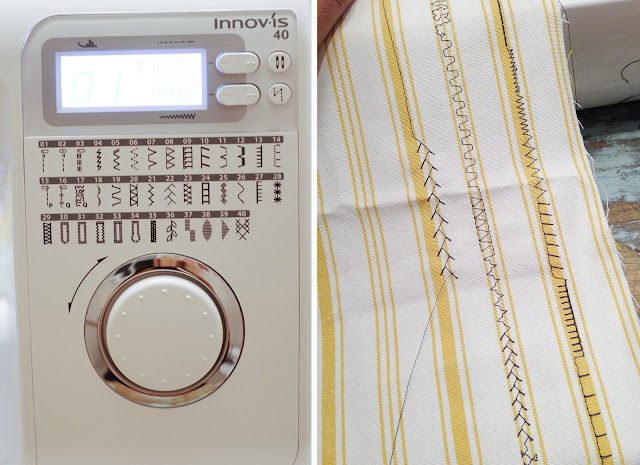 Perfect timing- I've been thinking I would love to learn to sew and it sounds like this is the ideal machine for that!!! I have been wanting to learn to sew so I could make curtains for our dining room- we've just moved into a new house and curtains would certainly help soften up all the sharp lines in the house! Thanks for the chance! And Merry Christmas! Pillows! Or maybe draperies for the nursery! I am a fabric junkie and need to get a move on some of the projects I have planned! Curtains for my daughter's room! Great giveaway! It would be perfect for my next sewing projects: roman shades for the living room! I have been wanting to make some baby blankets! I've had fabric for curtains for our bedroom for over a year and they would finally get made if I won. Thanks! The first project: hemming the guest room drapes. The safety pins are really not doing it for me! My mother was a seamstress and no matter how hard she tried, I never really took to sewing. But the possibilities are endless with this amazing giveaway! Easy button holes? I am officially envious.. I've been wanting to make a tote bag! I have a whole box of thrift store shirts with sleeves I need to shorten and buttons I need to mend! I'd get started on my grand daughter's Easter dress! 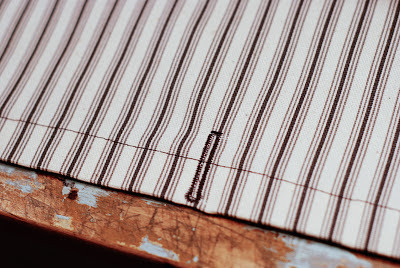 I found some amazing vintage striped fabric in my grandma's attic this summer. I would love to make it into pillows! Clothes, stuffies and lots of other fun projects for my 3.5 year old, and I would love to tackle some home decor projects. We live in a remote area and shopping is a challenge so I would love to be able to make some of of the ideas of I have reality. Thanks for a great giveaway! Merry Christmas!!! What a great machine. Mine's about 10 years old, and while it works great, it lacks all those fancy features. wow this sewing machine looks awesome! I am expecting my first baby July 2 2013 and my goal is to sew all the bedding and accessories for the nursery! Man, what an awesome giveaway. I'd love to make quilts! One of my goals before I turn 30 (in a year in a half) is to sew something I can wear... So, I'd probably start with a skirt or simple shift dress. THEN, I'd tackle TONS of home decorating projects! I am dying to make a crib skirt for the new baby's nursery! Clothes, stuffies and lots of other fun projects for my 3.5 year old! We live in a remote area and shopping is a challenge so I would love to be able to make her lots of fun things. Thanks for a great giveaway! Merry Christmas!!! I would tackle making new drapes for the guest bedroom! Pillows and cute little dresses for my little girl. Thats what I would do if i won. I would attempt to make my flower girl dresses for my wedding instead of paying someone to do it this spring. I had a quilt all cut out and ready to sew, and then my machine died :( So I would LOVE to be able to finish that quilt!! Wow! Great giveaway, Jennifer! I have been wanting to start sewing again for awhile-- and my daughter has been asking me to teach her as well! If I won, the first thing I would make would be drapes for our currently bare windows. I would love to make some pillows. I have been wanting to make a flower pillow but I really need a sewing machine in order to sew all the petals together. What an exciting giveaway! I'd love to make some baby bedding for our first little one that's one the way! Thanks! My machine is 70 years old, but I never have money for an upgrade! I would love this! I would love this! it would help my quilting so much! I would use this machine to make a crib quilt for a friend. My first project to tackle would be a new bedskirt! Thanks for the giveaway! i have been wanting to make garment storage bags for our out-of-season clothes! this machine would be fantastic. Why yes, I would love to win this machine. I would definitely make something with buttons! My 1980s hand-me-down machine is definitely lacking in the buttonhole department! I'm about to undergo a major reno of my home and this would be an amazing tool in helping to get that job done!!! I would hem my son's pants! I have been using that iron on tape and it is terrible! I would absolutely LOVE a sewing machine!! I can't imagine what I would be able to conquer!! Love it!!! Please count me in! New house = lots of projects. First on the list ... new curtains for my son's room. I've had my original Brother "Genie" machine since 1974(!) and I'd love a new one to tackle some decorating projects around the house. I would try out a baby sleeping bag for my niece who is quickly growing out of hers! I would love this sewing machine to teach kids how to sew. I have finally upgraded to a very fancy machine, so I'm hesitant to 'share' it. Therefore, I think I'd be doing doll quilts. I would love to win machine! My sister is teaching me how to make roman blinds, and I have five to do. Love this!! My goal for 2013 is to learn to sew so this would be perrrrrfect. I would tackle new living room drapes if I won! Fantastic giveaway!!! As I am a complete beginner, I would try my hand at pillows. if i won i would tackle a jean skirt that i have put off due to the fact the sewing machine i am using now, i borrowed from my aunt. I have three little granddaughters & I am always looking for new things to make for them. I also make dresses from pillowcases for little girls in Africa. Awesome giveaway!!!! Good luck everyone. Great giveaway! I'd love to win this, it would be a nice upgrade. I would try making pillows for my family room. This is a wonderful giveaway and I would love to win. Thank you!!! I would sew curtains for my living room, dining room & bedroom! What a terrific give-away! I would try to sew a cape! I have not touched a sewing machine since grade 8 home ec, so this might give me the push I need! I have a front door that is unfrosted and needs a covering on it. We have been in the house for three years and I have yet to fix this! I would LOVE to make something to finish off this room! I'm on a quilting kick. I'd sew the binding on my current project. I'd like to try making pillow covers for the first time. Great giveaway! Maybe make some pillows, but honestly this would go to my mom to replace her 32 year old machine. I'd love to make fun new throw pillows! I'd like to start some projects for our new nursery! I haven't done any sewing since my grade 7 home economics class but seeing all of these crafts and my bare windows, inspiration has struck! ok, losing my mind with excitement right now!!!! I want this machine so bad! I have just started making things for my house, my family and anyone else I can gift to. I have a new found passion for do it yourself projects and am hunting everywhere for my first sewing machine! This is incredible. First I would tackle cushions for my wicker patio set ! Thank you. It would be great to update my home by making some new throw pillows. Thanks for this great giveaway!!! This would be a great help to make a new roman shade for my laundry room! Wow! What a fantastic opportunity! I would love to win this baby, as I have a million-and-one projects that I could tackle to help create this place a home! I have been itching to sew a cover for my ottoman with inverted pleats and contrasting piping. I'd finally make the pillow that I've had the fabric for months now! Then curtains. Maybe a skirt... who knows!? Learing to sew has been on my bucket list since I was a young girl. I would loooooove to finally learn!!! Hand sewed two yoga eye pillows - one for a Christmas present. And was asked to make two more for family members. Boy, the job would be much easier with this machine! I will sew curtains for every room but first I'll start with a shower curtain for my guest bathroom. I would sew curtains for every room but first I'll start with a shower curtain. I would attempt to sew an indian suit! I would try to make something for my baby for his upcoming 1st birthday! Maybe some bunting or a simple colourful table runner. I would do pillow covers if I won! I would try to make some pillow cases. Thanks for the opportunity! What the deuce! This is the best giveaway ever!!! I think my first sewing project would be a new long lumbar pillow for our master. If you remember, I've been sewing on the oldest machine ever, my grandma's pfaff. So this giveaway would be soooo awesome! thanks for the chance! I would make a 'quiet book' for my daughter! Given my sewing machine is 25+ years old - one with this many bells and whistles would be thrilling! If I had a sewing machine I could take on more ambitious projects than just putting a button back on a blouse! i'd probably make a new skirt! I have stacks of fabric (from Tonic Living, actually!) waiting to be made into pillows for our just-finished living room. Exciting giveaway! Drapes are at the top of my list! I have never sewed, but I think I could with the right machine? I would love to try some pillows as they are so expensive to buy anymore! I just hotglued a throw pillow. I think it is pretty obvious I could put this thing to good use. Ha! It would be a toss up between more pillows or new curtains. I'd love to reupholster my antique chairs and make roman shades for my kitchen window! I've never had a sewing machine but am dying for one! First project would probably be new cushion covers for living room! I am dying for a sewing machine!! I just hand sewed mattress for my kids doll bed for Christmas and it took FOREVER! 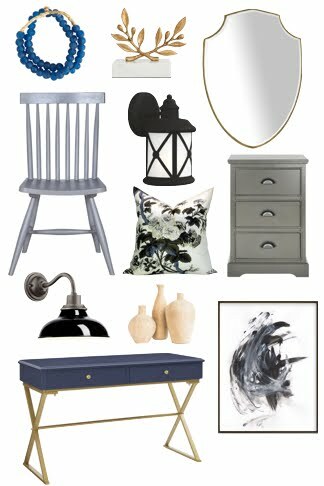 First project I'd tackle is probably new throw cushion covers for the living room! I'd start making quilts for my boys' beds. New curtains for my bedroom with blackout lining! Much needed for this nurse who does night shifts!!! Great giveaway! I would use this to make drapes for our upcoming renovation - the living room and dining room! 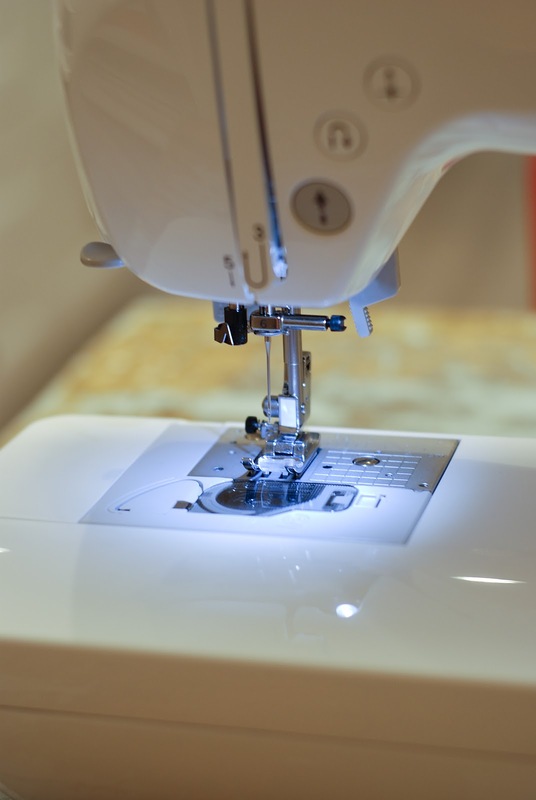 i would love to make everything that requires a sewing machine i've been pinning on pinterest! I need to finish curtains and make pillows! THis is an amazing giveaway and I want it!! :) My mom sews and while she is a master sewer I would love to be able to do some of my own projects like table runners and pillows. Oh! My!! That would be so great! 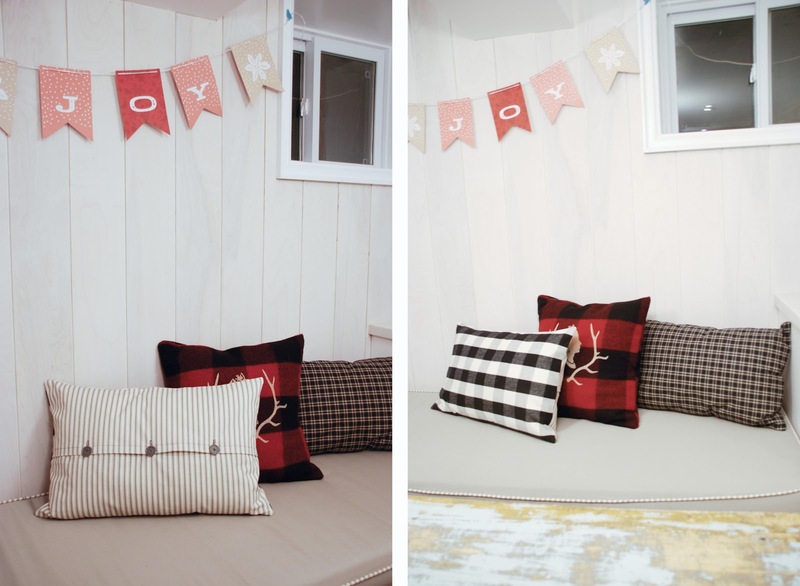 We just finished our basement and now we are onto the decorating stages! this would be amazing for pillows and curtains!!! I've started doing upholstery and this would be an amazing machine for me to take to class with me! You had me at fancy stitches! I would get to work on long awaited quilts for my girls beds. I would finish another dozen pillow covers and drapes , what a sewing machine , I am so glad you got a sewing machine , the pillows are beautiful. I hope this is open to your American neighbors, too! I have a whole stack of projects for my girls' bedroom - duvet covers, pillows, and curtains just to name a few! I will be tackling a pile of pants that need to be hemmed! Fun eh? Ooh, how lucky!! I've been pining for a sewing machine as I want to learn how to sew children's clothing - especially with number 3 on the way! Great giveaway! Would love it to sew new pillows! I'd make some pillows for my family! I've been meaning to shorten by daughter's crib skirt to fit her new "big girl bed". It would be nice to do it with a fancy new machine!! My mom used to have a sewing machine I used for pillows and such but then she invested in this second-hand industrial one and I'm at a loss as to where to begin. This would be perfect for DIY home accessories projects! I'd be thrilled to win this machine! I'd finally make the pillows for the reading nook in the playroom, and then I'd happily attempt the roman blinds for the kitchen. I would tackle the throw pillows for the bench I'm making in the playroom. And I'd have no excuse to put off making the roman blinds for the kitchen. I'd be thrilled to win this machine! I would love to tackle on sewing more ties for my husband! I haven't sewn him a new tie for a while and would love to make some winter-y ones. I really love all the fancy stitches and want to try them all! Bedding for sure and pillows! I would love to make a blanket & burp cloths for my baby girl! I would love to win this. Wanting to learn how to sew. I would love to win this. I am really interested in learning to sew this year and a new machine would really help this goal. I would start small. I have the cutest fabric with ballet dancers on it and I would make a little bag for my daughter to carry her dance shoes in. I will work my way up to pillows and drapes. Thanks for the chance to win! Oh, and I'd tackle drapes for our playroom! Love this! Learning to sew is one of my resolutions this year! I would finally hem all of our drapes! Really hoping I win this!!! I would make a drape for a little closet in my spare bedroom! I would attempt to make simple curtains for my baby's nursery (due any day now)! I haven't sewn since Grade 7 Home Ec., so winning this would be fantastic! I would love to make new stockings for Christmas next year! I would love to make new Christmas stockings for next year! I would sew some pillows for my daughters room. I would make some new curtains for our newly renovated living room! I would love a sewing machine! It was on my wishlist and my firend got one, this would be great so we could have sewing projects together! I have beautiful apricot buffalo check fabric waiting to become drapes for my guest room and the 40+ year old sewing machine I inherited from my Mom has gone to sewing machine heaven so I would LOVE to win this awesome machine! 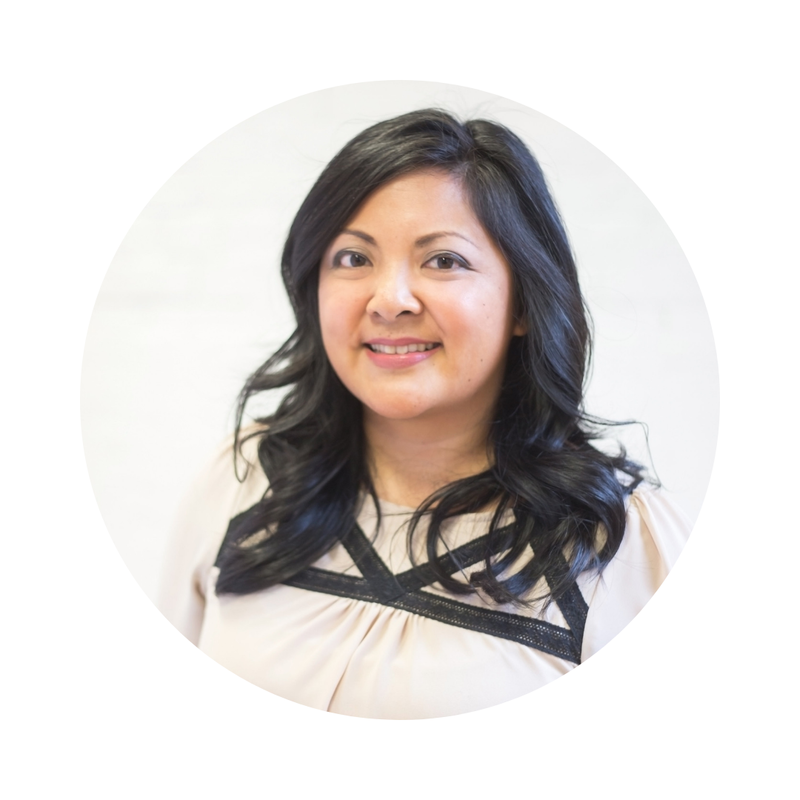 JoAnne V.B. I would totally make pillows on a regular basis! Change it up whenever the whim strikes me! I need a sewing machine like this because (and I know this from previous experience) I get frustrated VERY easily when it comes to sewing! I remember you telling me about your lost sewing machine at the Brother event... it's too bad you never found it! Can you believe I don't own a sewing machine!? The first project I would tackle would be some throw pillows for my couch! Thanks for the chance to win! I would love to have a computerized machine! I would love to tackle drapes or slipcovers for our sectional! I'd probably sew some dolls for my little girls! My sewing machine broke recently (and can't be fixed), so I would love to win! I was just thinking about buying myself a machine as a Christmas gift. I am terrible at sewing but I have some boring curtains that I want to pretty up and some pillows to make...the list goes on. I would sew curtains for my bedroom!